Known to be the first familiar foreigner face of Indian cinema, who surprisingly spoke fluent Hindi; veteran Bollywood actor, theatre, stage and a known entity in the social circle, Thomas Breach Alter, famously known as Tom Alter aged 67, widely acknowledged for playing the role of Britisher in Several TV shows and Bollywood movies, theatre and film personality , who lost his battle against skin cancer was cremated in Mumbai on Saturday 30th September 2017, his association with Mithun Chakraborty goes long back since the days of FTII ( Film and Television Institute of India in Pune) from the year 1972. 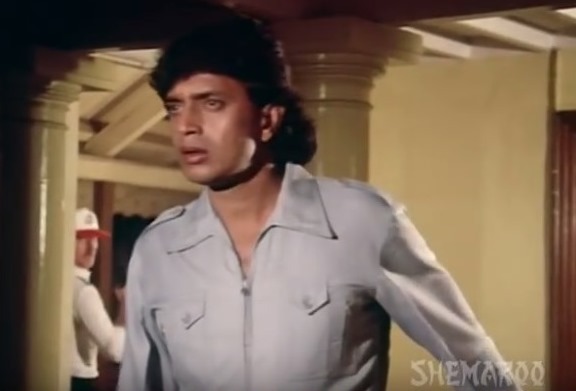 Tom played Hero to Mithun in his first film in a stellar role as a GORA Hero in the movie Chamelee Memsaab, the only movie where he played as a Hero. Prior to this casting, Mithun and Tom had spent a good time together as roomies in the FTII Students’ hostel at the FTII where both of them were Classmates, colleagues (both of them had worked together in more than seven movies) and his longtime friend. The actor was battling stage four skin cancer at a Mumbai hospital, where he was admitted earlier in September. Born in the hill station of Mussoorie in 1950, Alter was a third-generation American in India who studied at Woodstock School in the Himalayas and then briefly at Yale University in the USA, before returning to India in the early 70s. In 1972, he was one of few men chosen from over 800 applicants across north India to be enrolled in at the prestigious Film and Television Institute of India in Pune, where he studied acting from 1972 to 1974 under Roshan Taneja, who was the head of the Acting Dept at the Institute crediting his accomplishments in acting to these two years at FTII, later he graduated with a gold medal diploma in acting in the year 1974 along with Mithun Chakraborty. Alter's first release was Ramanand Sagar's Charas in 1976, in which he played the role of superstar Dharmendra's boss, a CID official. Among his notable roles during the first decade of his acting career were Satyajit Ray's Shatranj Ke Khiladi (1977), Shyam Benegal's Junoon (1979), Manoj Kumar's magnum opus Kranti (1981) and Raj Kapoor's Ram Teri Ganga Maili (1985). Other notable directors he worked with during the 70s and 80s were V Shantaram, Hrishikesh Mukherjee, Manmohan Desai, Subhash Ghai, Chetan Anand - who gave him his first break in the Dev Anand-starrer Saheb Bahadur - and Vidhu Vinod Chopra, who gave him the pivotal role of the gangster Musa in the critically acclaimed hit Parinda. Mrinal Sen's Movie, Mrigayaa was an average grosser at the box-office, it received mixed response from the critics and audience; Mithun's performance was extraordinary and received a unanimous acclaim winning the prestigious National award for the Best Actor at the 24th National Film Awards (1976) for the movie and Mrinal Sen too fetched the best director award for the movie. Later the movie was nominated for the Moscow International Film Festival in the year 1977. Soon he was roped in to play the tribal role similar as played earlier in Mrigayaa for the new film Chamelee Memsaab which more to the reprisal of what he portrayed earlier in Mrigayaa. He and Tom Alter played the stellar role with Abha Dhulia donning the titular character. It was a great time for both of them, bonding again and reliving their struggling days. Tom recalls the vivid memory traveling to Darjeeling shooting for the movie as he was the first prefered homegrown white actor to be cast as an English man in the Hindi movies This movie has a special place as he had shared major screen space and talking about this movie to one of the leading publications he says his most memorable film, was "Chamelee Memsaab" in which he played the hero. "I played an English tea estate manager, who falls in love with a local girl, working on the estate. 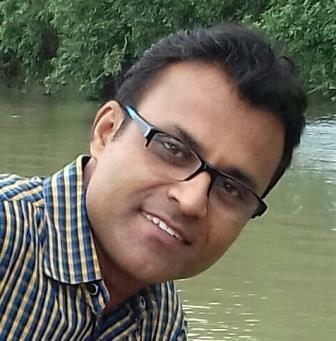 It is a very romantic film released largely in Kolkata and North East India alone." 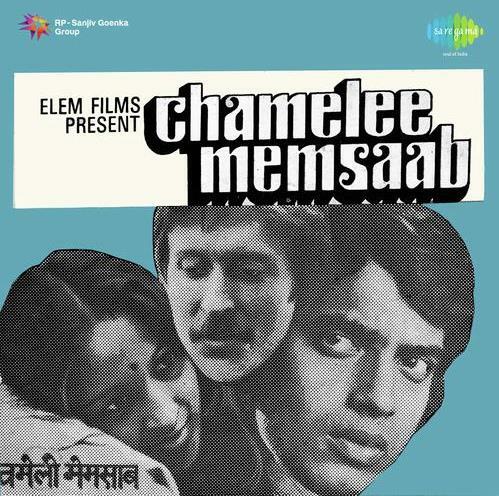 Chamelee Memsaab, produced under the banner of Elem Films and directed by Ajit Bahiri was released on 1st January 1979, was the Hindi remake of the Bengali film Chamelee Memsaab that starred Raakhee and was released in 1975. In the 1979 version, Tom Alter was the hero and Mithun the supporting actor. It also marked the debut of Tom Alters' wife Carol Evans and Abha Dhulia played the role of Chamelee Memsaab, the other cast included Fredy Stroud, Carol Alter, John Mackenzi, Master Rajoo, Pallavi Mehta & Sushant Sanyal. Post-graduation from FTII, both were busy charting individuals career. 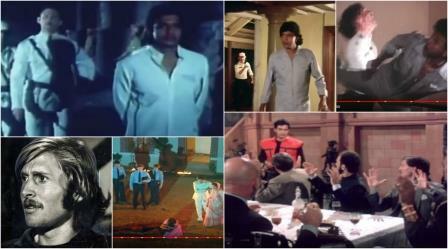 The time came much after the release of Chamelee Memsaab when Mithun fresh with the movie Disco Dancer’s success was in the USA shooting for Simi Garewal's movie Rukhsat which was shot at Providence in Rhode Island. A cricket match titled USA XI v/s India was held with few of the 1983 winner from the Indian 1983 world Cup team along with Mithun Chakraborty and Tom Alter was on the side of Indian player. This was in the summer of 1983 in a green field in the rural New Jersey, USA where this match was being played. USA X1 team had the West Indies players representing them. Tom was exhilarated as he too had LBWed the rival captain out. Along with the match, they had revisited and re-lived the FTII days, running down the memory lane and feeling nostalgic on the same.To top it all, it was a dream come true for both, as being sports enthusiast they had a secret desire of playing for India against any country along with the cricketing legends, here it was with the Indians as well as the International players too. The cherry on the cake was the Indians won, truly their presence was a value-add, the happiness was beyond description, Tom and Mithun regaled as they were hugged, congratulated and made them feel as being one of them by the legendaries. This was truly a great gesture, both of them had a wonderful time exchanging the emotional moments while traveling back from New Jersey to Providence in Rhode’s Island to continue the shoot of the movie. As the news of Tom's demise came out, tributes from the film, theatre, television and political world started to pour in, and many called him as a generous and kind-hearted talent. 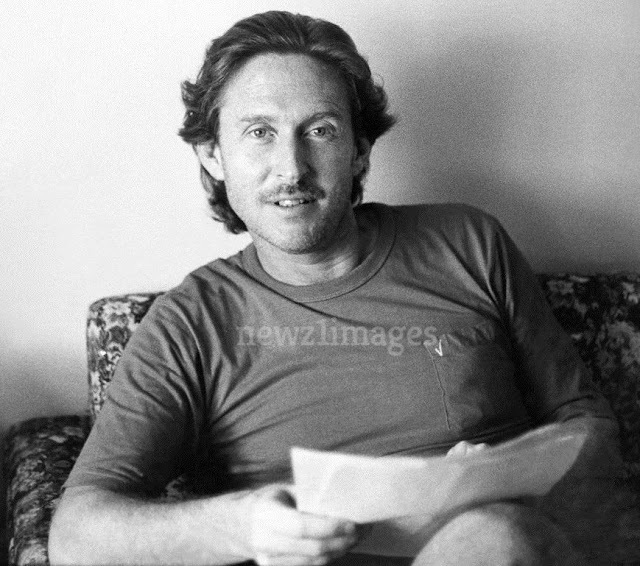 About Mithun’s lifelong association with late Tom Alter since his student days from FTII, the first-hand information in regards to their long-term association came through these two people who had interacted with both of them. Jayanta Bose a resident of Kolkatta, a life-long admirer of Mithunda since his childhood days, admits that Mithunda runs in his blood and have committed himself to servicing the cause for Mithunda's objective in the upliftment of poor and needy people, having been closely associated with the star in regards to innumerable social work fondly remembers the conversation which he had about the near and dear ones from Mithunda conveyed “ Their association has been more like brothers since they met and had been roommate, Classmate and Confidantes’, post the graduation from FTII, they had been in touch constantly and had been meeting up on various occasions and had been meeting with each other residents too. They both were each other few of those friends where they could call each other at any point of time whenever they felt like conversing.” Further added, “ Mithun is always touchy about his friends, companions, and associates who were helpful, supportive and encouraging during his struggling days, Tom was one of those friends whom he relied upon during such days and later too.” Jayanta also affirms his views on behalf of his friends who have great degree of loyalty, love and immense dedication for the star and are part of the Mithunda's loyalty club titled Mithun's Citizens' Welfare Organisation, a highly active unit for the social upliftment operating in Kolkata, collectively providing social services to the needy people during Mithunda's Birthday and his visit to Kolkatta. Tom could read, write and speak the language. And while the journey began in the hills of Mussoorie, Tom actually began mastering Urdu in Pune as a student in the Film and Television Institute of India (FTII) in the early 1970s. Till he lived, Tom is an Urdu expert — having recently completed more than innumerable performances of the soul-stirring, solo play, "Maulana Azad". He portrayed the national leader, for a good two and a half hours on stage, mouthing only chaste Urdu, for which he has received much critical acclaim. He has also received praise for his role in the art film Ocean of An Old Man, which has been screened at film festivals around the world. Awarded the Padma Shri in 2008, the fourth highest civilian honor of India., A consummate creative personality, Alter is an actor, playwright, director, sportsman, and philosopher. He is well-read, well-spoken, and, having acted in hundreds of films, brimming with insight into India’s movie industry. Tom’s interest lay not only in cinema and theatre, he was a huge cricket enthusiast as well and had written profusely to most of the sports and cricket media. 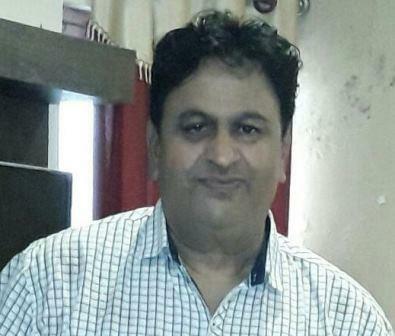 Lately, he was also the head of the acting department at the FTII (Films and Television Institute of India). 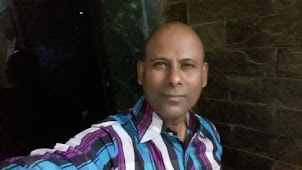 He is also the proud author of Rerun at Rialto, a mystery novel, set in his hometown, Mussoorie, other book written by him are The Longest Race and The Best in the World. Alter has lent his voice for an authorized audio autobiography of Dr. Verghese Kurien, titled The Man Who Made The Elephant Dance which was released in 2012. Heartbroken by the news of his demise, several of his B-Town fans and celebrities took to Twitter to share their condolences and #RIP | #TomAlter has been ringing quite a loud and incessantly. Tom will be missed by the entire fraternity, he was the life member of International Film and Television Club & International Film and Television Research Centre of Asian Academy of Film & Television.